Buck Weaver will forever be remembered as one of the infamous eight "Black Sox" that helped "throw away" the 1919 World Series against the Cincinnati Reds. While he always insisted that he never took any money (which is assumed to be the case), baseball commissioner Judge Landis included him with the other seven players when he banned all eight from playing Major League baseball forever. It was Landis' explanation that "any player who simply has knowledge of a game being thrown and will not come forward with such information will also be banned for life". Such was the case for Weaver who refused to "snitch" on his seven teammates that accepted "bribe" money. Sadly enough, Weaver petitioned for reinstatement for years to come, but Landis never "budged an inch" to pardon him. 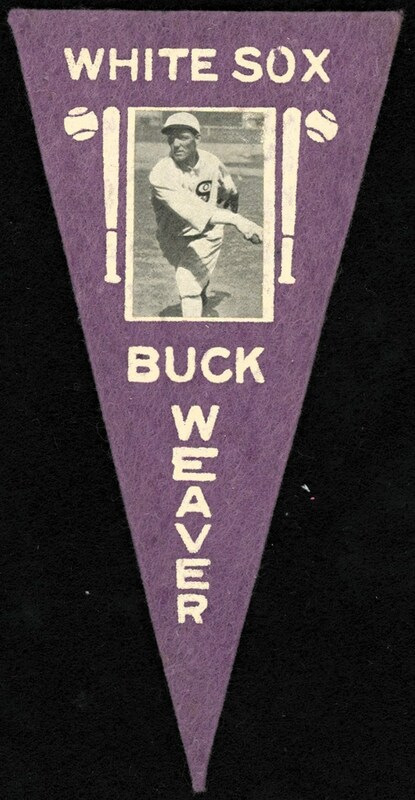 Fortunately, due to his immense popularity as one of the "Black Sox Eight", Buck Weaver's collectibles are highly sought after, with this extremely obscure Weaver 1916 BF2 felt pennant seldom surfacing for the taking. In 1916, the Ferguson Bakery Co. of Roxbury, Mass. 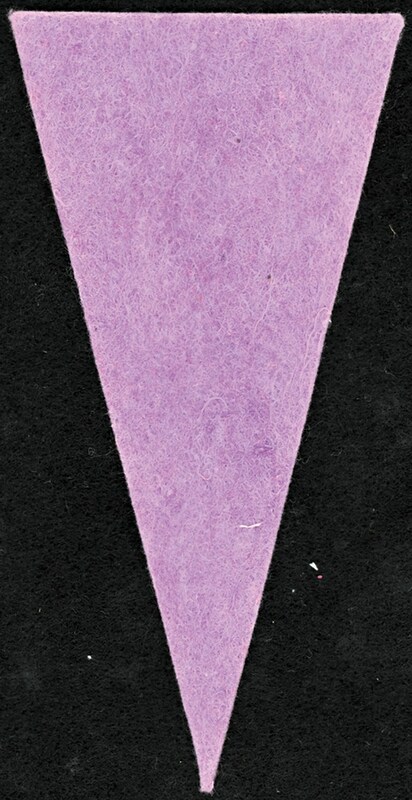 issued small felt pennants for the purchase of five-cent loaves of their popular bread. Measuring 2-7/8" x 6", a total of 97 different players were offered and are commonly designated as "BF2 Pennants". This esteemed offering depicts one of the classic black & white Buck Weaver photos typically seen on his 1916 M101 cardboard related issues. Remaining in its virtual original impeccable state, no obtrusive flaws are evident, with only some negligible printer marks situated on the upper right borders of Weaver's hallowed image. The "WHITE SOX" and "BUCK WEAVER" text is neatly affixed to the ultra-clean clean plum purple felt, and atypically, no serious fraying exists along the edging. Oddly enough, being one of the "Black Sox" eight has made any of their collectibles skyrocket in desirability and value, with only Joe Jackson commanding higher price tags than his co-conspirator Buck Weaver. Arguably the finest BF2 Weaver pennant extant, it merits a final resting pace in any esteemed vintage gathering!